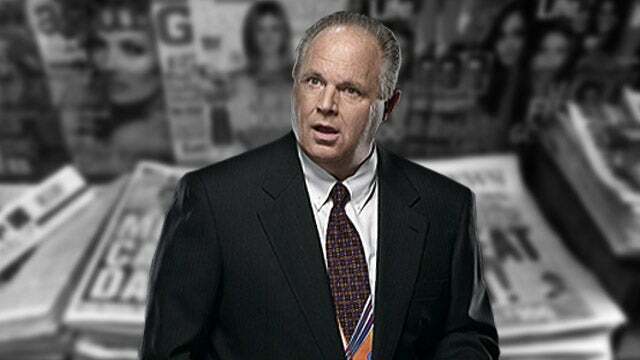 RUSH: I really hope I’m not interrupted here in my intended opening. It is multifaceted, and it continues to focus on the so-called investigation of Trump-Russia collusion. Now, a lot of people have today, apparently, an interest in aspects of the media. There’s a lot of attention on PMSNBC and CNN, such as, “What are they gonna do now?” Because the full source of 24/7 programming is been yanked away from them: Trump-Russia collusion, two years of anticipation that Mueller was gonna find the goods on Trump and that he was gonna be summarily removed from office. What is fascinating is they can’t give it up. They can’t give it up, various members of Congress, and they can’t give it up on MSNBC. I want to rephrase or restate something I said in the third hour of Monday’s program. I want to create a little hypothetical here, and I want you to imagine that for the past two years I have promised you multiple times a day that Hillary Clinton is being investigated, the Clinton Foundation is being investigated, that Bill Clinton is being investigated. They’re being investigated not just for the private email server trafficking in classified documents but, in addition to that, the Uranium One deal is being looked at and the Clinton Foundation’s pay-to-play. The secretary of state, Hillary Clinton, and her husband were actually accepting personal payments disguised as donations to their foundation in exchange for policy considerations while she was secretary of state and (as they all assumed) she would become president. I’ve been telling you for the past two years there is an investigation happening. Nobody knows about it, but it’s serious, and it’s taking place, and it’s only a matter of time before Mrs. Clinton is going to be found guilty. It’s only a matter of time before the details of this are revealed. And I’ve told you this every day multiple times a day for two years. And I’ve embellished it with every imaginable detail. I have led you to believe — and you believe me, you trust me. And I’m exploiting that, and I’m using that. You believe me when I tell you these things, and I have led you to believe that for the first time in our lifetimes an actual series of Democrat criminals and crimes are going down, that I am assured constantly by multiple sources that it’s only a matter of time. And this goes on for two years. And then one day… One day, it is announced that there hasn’t even been an investigation of Mrs. Clinton because they did start one and found that she had done nothing wrong. What would you do after two years of me telling you that? You wanted to hear it. You want this woman locked up. You want this woman and her husband to be held accountable. They’ve gotten away with so much, and I’ve been telling you for two years (in our little hypothetical here) that it’s finally happening. It’s one of the secret projects that Donald Trump and his team are working on. And then one day it is revealed that there literally is nothing to it, that everything I’ve told you is nothing more than a big, fat lie. And of course, during those two years, I would have told you that I have “multiple sources” assuring me. I wouldn’t have named any. But I would have told you it wasn’t just me. What would happen after something like that? You’d be gone. You would want nothing more to do with me or this program, and you would be profoundly embarrassed. And you would be angry that you have been toyed with, that you have been used, that your emotions have been manipulated by me. You would never forgive me. You might even take it out on all of talk radio. You might just be so disgusted that you have been so lied to for so long, so confidently, that this would shake you to your core. Well, this is exactly what has happened. It’s exactly what has happened on CNN. It is exactly what has happened on MSNBC. It is exactly what has happened on every comedy show on HBO. It’s exactly what has happened on Saturday Night Live. It is exactly what has happened in the New York Times and the Washington Post. “The walls are closing in.” Trump’s “back is up against the wall.” All of these phrases that they used all of these months. In some of these outlets’ cases, it’s been more than two years that they have been engaged in this. Why are their audiences still there? Well, everybody’s focusing on Rachel Maddow. I have a theory for you as a highly trained broadcast specialist. Her ratings took a tumble last night, and they’re gonna continue to. They lost 500,000 total viewers last night, and it’s gonna continue the slide. CNN didn’t have much to lose anyway and they’re gonna continue to lose audience. They have lied to their core audience. They have misled them, and they won’t even apologize for it! They won’t even acknowledge it. They’re still trying to carry forward some sort of version that Trump colluded, and they’ve got guests as Democrat members of Congress to come on their programs and continue to advance the lie. But what this has shown, folks, is that Rachel Maddow — just for example — is not really the star of her show. Fake news was. 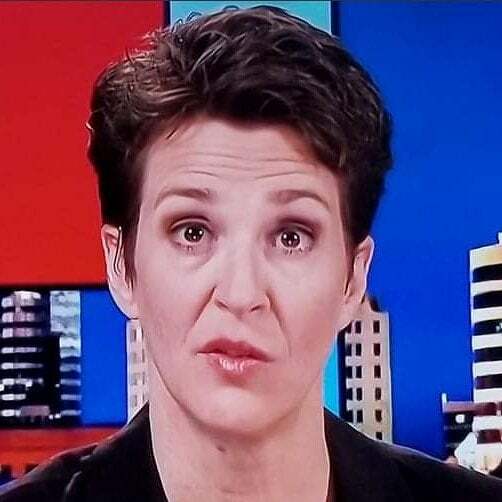 Because when the fake news stopped, and when the bottom fell out, and when there’s no more emotional reason — you don’t need to have your emotional anger and extremism fulfilled because now it’s been totally blown to smithereens — Rachel Maddow’s not enough to make you turn back in to PMSNBC. Fake news was the star! Fake news is the star at the New York Times, fake news is the star at the Washington Post, fake news is the star at CNN. And when the fake news stops… Well, it never actually does stop. But when this particular fake news story goes away, look what the left-wing media discovers. Like so many other left-wing hosts and members of Congress and people in general, they are wholly dependent on fake news being peddled in order to have readers, in order to have viewers, in order to have any kind of respect. 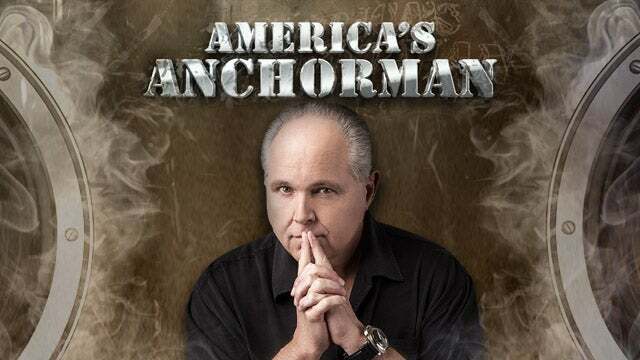 If there isn’t any blockbuster fake news that’s certain to bring down Trump, then the viewership is going to fritter away because it isn’t those people attracting these audiences. It is this fake news. Everybody misunderstands this. It is the fake news. It is the toying with their audience. It is the manipulation of their audience’s emotions that kept that audience, those audiences glued in whatever numbers to these various outlets. It’s a sad, serious place when — trust me, I know this — a television or radio show’s host is dependent on a fake crisis, on fake news day in and day out in order to have an audience. This is their big problem. What they have learned is they need to create and continue to create and manufacture fake news, and that is what is going to happen. That is their only salvation. They cannot acknowledge what has just happened. They have to come up with excuses. “Well, maybe the Russians have something on Mueller — or maybe Barr is dishonest. We can’t trust Barr!” They’re running the whole gamut on this. It’s like I said yesterday, the problem that we face as a nation with people on the left is they’re like a bunch of spoiled, rotten kids. When they lose, they cannot and will not admit it. They do not learn from it and move on. They attempt to tear down the system that rendered them winless. They attempt to do great damage and corrupt the system and the people that led to their anger and their disappointment because they lost. This why we’re in a constant battle for the soul of this country with these people because they are intolerant and incapable of dealing with hard, cold, everyday truth. If they can’t manipulate unpleasant truths into lies that are satisfactory and pleasing — if they can’t lie to themselves and to their audiences — then they freak. And that’s when they lash out and start trying to do damage to the very systems such as the Constitution or the rule of law that they think are responsible for their disappointment or their defeat. On the other side of this, a simple journalistic principle — curiosity — could have led them to much less disappointment, could have led them close to the truth. They weren’t curious. 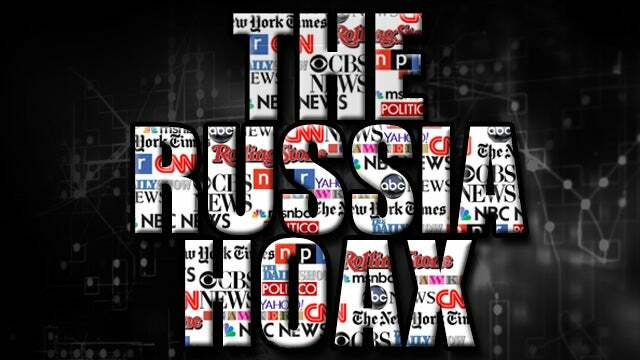 They accepted with blind faith every stinking lie they were told by every trusted source that they have, because they only wanted to believe the lies. They did not want to believe that there was no collusion because they could not explain their loss any other way. There had to be a trick played against them. There had to be laws violated. There had to be abuses of the Constitution or electoral system, in their really frayed minds. One simple characteristic — curiosity — maybe even a little less trust in some of their sources. It wasn’t hard to find out how bogus this was. It wasn’t difficult at all to learn what an entirely manufactured hoax this was! It was very easy to discover that this was in fact a silent coup going on. It’s actually worse than I’m describing. They made an active choice to join this coup. They made an attempt to make something that didn’t happen appear to have happened. They joined the effort to try to manipulate and lie to and fool the entire population of this country. They have failed miserably, and that failure does not deserve any gratitude from us. I’m not saying don’t feel happy about it, but none of these people are to be applauded.